Our world will never be the same. Grant MacLaren and the Traveler team try to undo the damage done by Traveler 001. The only chance of saving the entire universe is by working together, to clear up the footprints left behind. 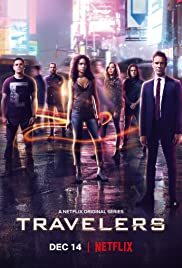 Travelers Season 3 is coming to Netflix, December 14, 2018. Hundreds of years from now, surviving humans discover how to send consciousness back through time, into people of the 21st century, while attempting to change the path of humanity.